Super Smash Bros. Ultimate launches tomorrow, December 7, on Nintendo Switch and here at T3 the excitement and anticipation has reached fever pitch. One of the best Nintendo Switch games of the year, Super Smash Bros. 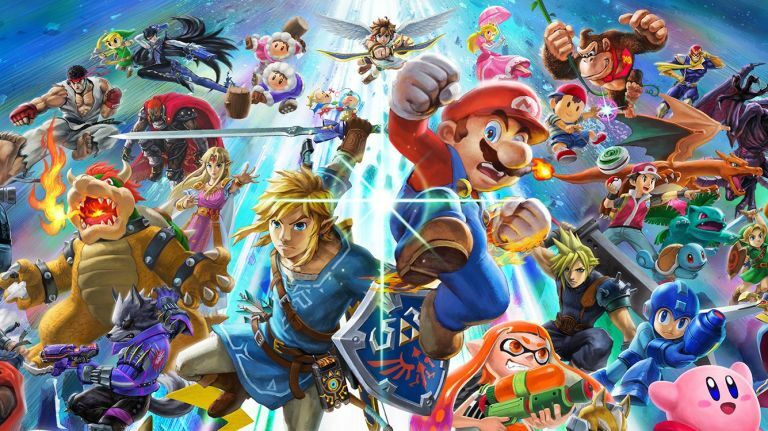 Ultimate is simply a must-play in our opinion and, as we want everyone to enjoy its awesomeness, here we're rounding up the best Smash Bros. deals available right now. We've got the best prices on the Super Smash Bros. Ultimate game itself and its rare Limited Edition version, too, the cheapest deals on the Nintendo Switch Super Smash Bros. Ultimate Edition console, as well as the most attractive bundle deals on the market. We've also got the best prices going right now on the game's must-have accessory, the GameCube controller, as well as the incredibly lush Smash Bros. Pro Controller. Gamers looking to get in on the hot Super Smash Bros. Ultimate action who haven't got a Nintendo Switch console yet, or fancy upgrading their existing system, should definitely take a look at this special edition Smash Bros. system. Amazon has the console, which comes bundled with a digital down copy of the game, too, for only £319.99. This means you're getting the special edition console for the equivalent of £269.99. If you like to battle as Link while playing Smash Bros. games then this attractive bundle from Nintendo should appeal. That's because you get the special edition Smash Bros. Ultimate Nintendo Switch console, digital copy of the game itself, a Deluxe Travel Case, and the super sweet The Legend of Zelda Battle Pad all for only £339.99. The complete SSBU setup for Link lovers.